When it comes to small business inventory management, owners have a lot to deal with. 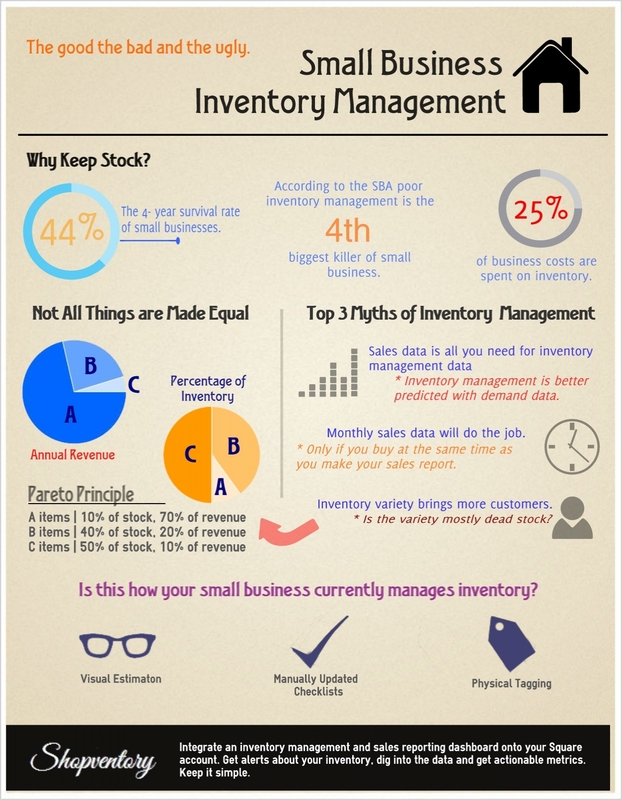 Here are the realities: We hope you enjoyed our infographic on the state of affairs with small business inventory management. To learn more about how Shopventory creates simple and elegant inventory management and business intelligence for the users of next generation payment systems (such as Square), click here.